In the year 1815, Napoleon gathered his French forces at Waterloo to battle against the Duke of Wellington. Of course, history informs us that Napoleon was defeated at Waterloo, but how did the people living in 1815 learn of the news? To carry the news of the Battle of Waterloo to England, an English ship signaled to a man on shore, who then relayed the word to a man on another hill, and so on across England. The first word that was signaled was "Wellington." The next word that was signaled was "defeated." Then a fog rolled in, and the message stopped. As you can image, all across England people wept and were disheartened by the two word message, "Wellington defeated." But when the fog lifted, the message continued with two additional words, "the enemy." Hope arose out of despair! Now here's my point. 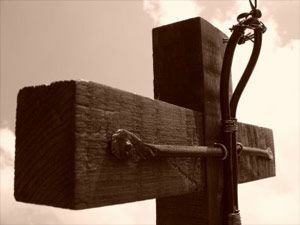 What do you think the world and even the disciples of Jesus thought when they saw the events that transpired on the Friday of the crucifixion? But, Friday contained only a portion of the message. The rest of the message was shared on Sunday through an empty tomb. Hope arose out of despair! [Jesus] said to them, "The Son of Man is going to be delivered over to human hands. He will be killed, and after three days he will rise." But they did not understand what he meant and were afraid to ask him about it (Mark 9:31-32 TNIV). "There's More to Come" by Steve Higginbotham is licensed under a Creative Commons License. Heartlight encourages you to share this material with others in church bulletins, personal emails, and other non-commercial uses. Please see our Usage Guidelines for more information.